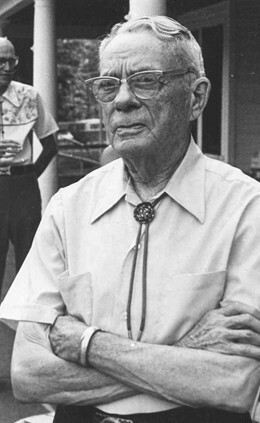 Clarence N. Hickman (1889 - 1981) rose from austere beginnings in rural In­diana to become a man noted for his achievements in several diverse and highly technical fields. Indicating a passion for learning and an aptitude for mechanical design, he developed early interests in archery, magic, photography, mathematics, physics, languages, and music. Hickman became associated with Dr. Robert Goddard, early space pioneer, and was responsible for the development of the recoilless rifle, or Bazooka, airplane rockets, and many other military weapons that helped the United States during World War II. He held over 35 military patents and received the Medal for Merit from Presi­dent Truman. He also worked for the American Piano Company, during which time he is credited with creating the AMPICO B, the most sophisticated reproducing piano of that time. 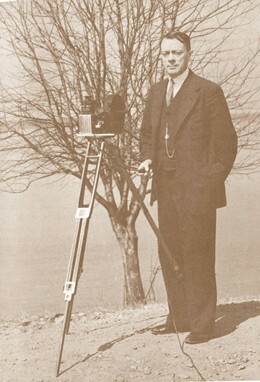 Hickman was employed by Bell Telephone Laboratories for twenty years, and acquired 30 patents, ranging from the Telegraphone, the forerunner of the modern-day tape recorder and answering machine, to the modern switching ap­paratus in central telephone offices. 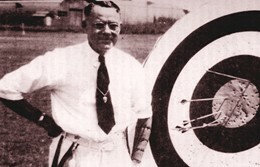 Hickman's various occupations predisposed him with the proper technical knowledge and access to machines and material necessary to make extremely notewor­thy contributions to his favorite hobby, the sport of archery. The intent of this paper is to provide a description and analysis of Dr. Hickman's major scientific contributions to the sport. 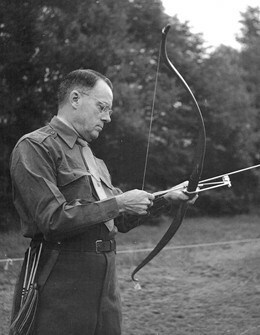 A review of his technical background and contributions in areas other than archery is presented, so one can better see the relationship between his work and his hobby, and the influence one had upon the other. 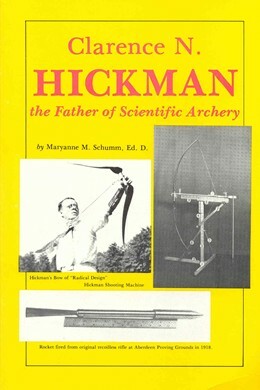 Among the archery contributions were his introduction of methods of scientific inquiry to the sport, the Hickman Spark Chronograph for determining arrow speed, the Hickman Shooting Machine for analysis of bows and arrows, the Hickman bow backing process, the Hickman bow of radical design, Hickman’s high speed film of an arrow leaving a bow, his prism bow sight, bow bracer, and his analist of the archer’s problem known as freezing. A Leader in the Development of the Bazooka and High Velocity Aircraft Rockets, Worked Closely with Dr. Robert H. Goddard, Rocket Pioneer, for Whom the Goddard Space Flight Center is Named.